WhatsApp has always and, we hope, will be a relatively simple app. There’s always room to spice things up, though, and the company recently did so with a new update that adds some new emoji. You should be familiar with the selection if you’ve been using the latest versions of iOS and Android. 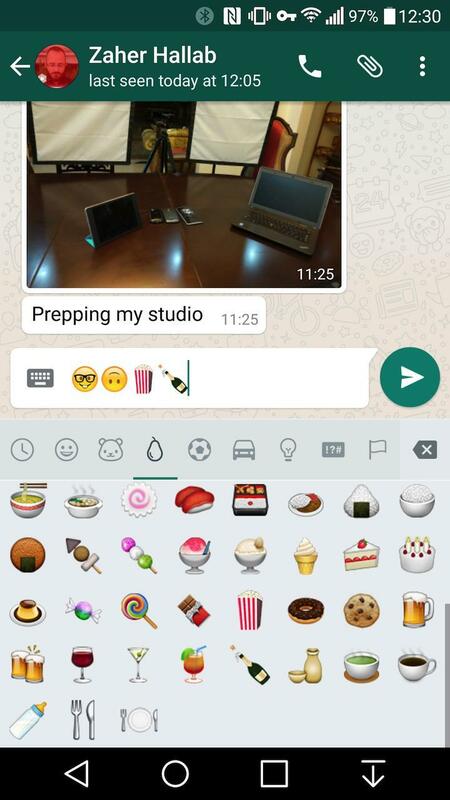 Version 2.12.441 of WhatsApp, now available in the Google Play Store, brings the latest batch of emoji to the WhatsApp experience. You’ll find icons for a taco, a middle finger and plenty of other options, including lots of new family representations. According to the Google Play Store, other changes in the update include support for starring messages, which can be used as bookmarks, and backing up chat logs to Google Drive, allowing you to restore those logs should you lose your phone and login on a new one. Hit the Google Play store (below) to grab the latest update.